The first day of school used to be as sacred as Christmas to me. As an overwhelmed mother of four I was filled with a false sense of joy by the mere thought of a few hours of peace and quiet. It wasn’t long before I realized the high cost of that so-called peace and quiet. After the birth of our third child and with the rising cost of childcare, I did something I never thought possible. I became at stay-at-home mother. Apparently God has a sense of humour because clearly I lacked the domestic finesse that was secretly written in the mom’s book of life. Despite the never ending laundry and everything that comes with being a wife and mother, I fell in love with the beautiful chaos of our family. The more time I spent at home the more I realized how precious my children truly are. Especially after experiencing a miscarriage and delivering a stillborn baby at 17 weeks, my perspective of parenting drastically changed. Our first two children went to a Christian pre-school since I was working outside of the home at the time. Earlier this year we registered our latest preschooler in various activities in an attempt to get him ready for kindergarten in the fall. Since Ethan didn’t attend preschool like his older sisters, we thought this would be a great alternative. Shortly after the birth of our fourth child, I started implementing some early education techniques recommended by a trusted friend who is Montessori certified. We began with learning the alphabet phonetically, sight words, and basic counting. With each passing day our little man’s curiosity blossomed and he soaked up every ounce of information. As the time grew closer to register for kindergarten I couldn’t physically go to the school. I always thought I would be the first parent in line; but, spiritually I just couldn’t do it. My husband was the first to express concern after seeing Ethan’s progress. The foundation we were building could eventually be overridden by an inefficient play based classroom. Well, what am I supposed to do…homeschool? [Insert awkward silence/light-bulb moment]. That’s when I realized God had taken his sense of humor to the next level in my life. Just when I was becoming one with the stay-at-home mom life, now this? Despite my initial apprehension, something felt right about this, so I started to research. Although we know homeschooling families, I just thought they were super-hero parents God created to keep me encouraged from the sidelines. 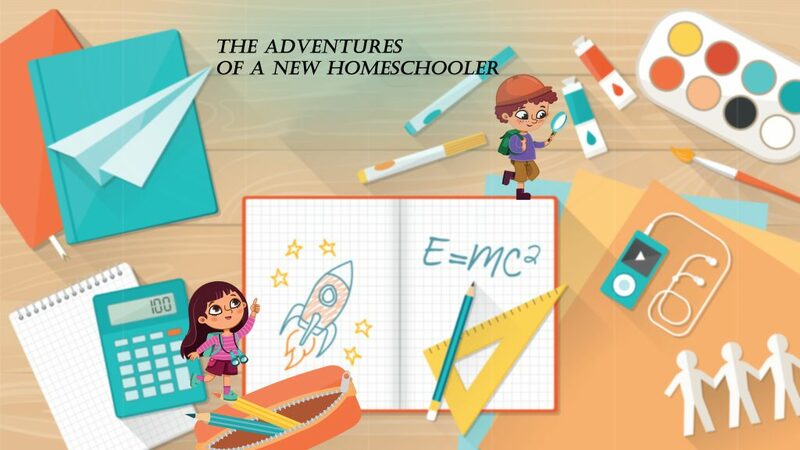 Homeschooling families usually consisted of large families since the children have built in classmates. How could I possibly homeschool? How could I possibly put my son in a school that one teacher in confidence told me is “babysitting”. My brain came up with all the reasons I shouldn’t homeschool while my heart and soul easily counteracted with biblical wisdom. First on the list: the social aspect. How does one keep children busy during the day without surrendering to the TV? It didn’t take long to find great homeschool support groups in my community. I met fantastic families both large and small who encouraged me without overwhelming me. I spoke with parents, students and even homeschool graduates. My new friends introduced me to HSLDA and prepared me for the OCHEC Convention. Despite having great support and access to weekly activities, I still had one major fear to overcome: my struggling learner. With a diagnosed learning challenge how could I possibly homeschool my rambunctious princess who absolutely adored school. An educational assessment revealed some major challenges our 8 year old daughter, Moriah, was having which helped us to understand why she was so behind academically. The school created an Independent Educational Plan (IEP), with a heavy focus on modifying the curriculum and making accommodations to her learning style. I was so worried that my abilities as a parent would fall short and I would ultimately fail her. While touring one of the local co-operatives I met an amazing educator who actually homeschools struggling learners. After homeschooling her children with learning challenges, this amazing mother helps homeschooling parents like me. By simply sharing her story and her abilities I became more confident about homeschooling my struggling learner. I also surrendered my fears to God in prayer about our daughter’s potential dismay about leaving her school. Within a few days Moriah became less interested in school and actually started creating excuses to stay home (the fake coughing bit was pretty funny). Upon the advice of HSLDA we decided to let Moriah finish grade 3 and begin homeschooling in grade 4 officially in the fall. Thankfully, she is fine with that arrangement and the fake coughing has been minimized. Meanwhile our “tweenager“, Ebony (age 12), has expressly asked to attend an alternative school to learn more about the mission field. While she’s always been a compassionate child, she’s beginning to show interest in teaching and reaching people across the world. She’s an introvert slowly coming out of her shell and her gifts are emerging beautifully (despite the occasional pre-teen shenanigans). In an attempt to not provoke our tweenager to wrath, we are prayerfully working through the logistics for our mission-minded daughter to attend an alternative Christian school to cultivate her evolving passion and gifts. Throughout this journey I have learned one very important aspect about educating children: variety is the spice of homeschooling life! Just as our faces are different, so are the educational needs of our children. Regardless of their abilities, each child is unique and requires our full attention. As I prepare for my first school year at home, there is a deep settled peace knowing that my children’s educational and spiritual needs are being met without compromise. The peace and quiet that I once sought has been fulfilled in a surprisingly unique way. Like any life-changing adventure, there will be bumps along the way; but, I take comfort in knowing we have an incredibly humorous and merciful Savior at the helm. Dinah Whitton is a freelance writer, wife and mother of four (Ebony, 12; Moriah, 8; Ethan, 3; Phoebe, 7 months). When she’s not writing or conquering laundry, Dinah enjoys baking, biking and the great outdoors with her family. Together with her husband, Michael, they serve in administration and children’s ministry at their local church. Barbara: Viewpoint note ** HSLDA represents all homeschooling families regardless of homeschool style or motivation. Not all of our members homeschool for faith-based reasons. We celebrate the successes of all homeschooling families and do not intend to elevate one style or methodology above another. If you would be willing to share your story with us, we’d love to celebrate with you!